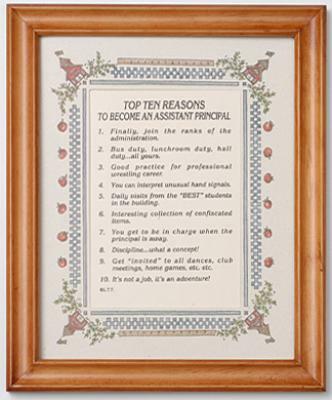 Top Ten Reasons to Become an Assistant Principal Frame. 9 in. x 11 in. Comes in a beautiful wooden frame with a school border. Great gift for any assistant principal.